Iraqi Prime Minister Nouri al-Maliki’s rejection of a “national salvation government,” an American-proposed six-month agreement that would include Sunni and Kurdish representation, marks the latest setback in Washington’s effort to forge a multiethnic solution in the country. In a televised address Wednesday, Maliki argued that the salvation government represented a “coup against the constitution and political process” and an attempt to “steal the votes from the voters.” Maliki instead turned his attention to forming a Shiite-dominated government, in accordance with the results of Iraq’s parliamentary elections, which were held in April. 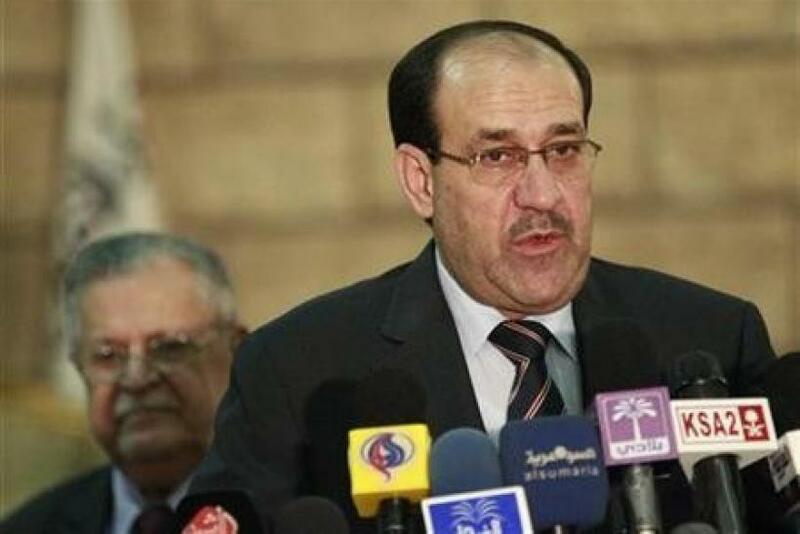 Maliki and his Dawa Party, which earned by far the most votes in the elections, are expected to conclude this process around July 1. For the United States, for which a unity government is a precondition for assisting the Iraqi government in its fight against Islamic State of Iraq and Syria (ISIS) fighters, Maliki’s refusal is another frustration. Washington has blamed Maliki for alienating Iraq’s Sunni population, the central factor in Iraq’s worsening sectarian tension. Following the ISIS capture of Mosul and other cities in Iraq’s north and west, the Obama administration has made it clear that it lacks confidence in the prime minister that the Bush administration installed in 2005. As ISIS continues to capture territory in Iraq -- its fighters now control the country’s entire border with Syria -- Maliki and the U.S. find themselves at an impasse: Maliki wants American military assistance -- but only if he doesn’t have to share power with the Sunnis and Kurds. What accounts for Maliki’s refusal? The most important reason has nothing to do with ISIS. Although similar terror organizations have threatened Iraqi security since the U.S. invasion in 2003, Maliki most fears a revival of the Baathists, the secular Sunni party that governed Iraq under Saddam Hussein. Many Baathists survived the post-U.S. purge. According to Rick Berger, an independent Iraq expert based in Washington, the possibility of a Baathist movement genuinely scares Maliki. “For someone like Maliki, who belonged to a party Saddam Hussein tried to decimate, this explains his paranoia.” he said. Maliki’s reluctance to include Sunni and Kurdish parties in his government also reflects his increasing dominance of Iraqi politics. In the April parliamentary election, the Dawa Party won 92 seats in parliament -- roughly three-fifths of the amount needed to form a majority. Since Maliki does not need Sunni or Kurdish support to reach the threshold of 165 seats, he can simply form a coalition with smaller Shiite parties. “There’s no reason for him to cede power to the Kurds and Shia until he absolutely needs to,” said Berger. Then there’s Iran, which, like the U.S., has lent support to the Maliki regime since the beginning of the present crisis. Tehran, like Washington, has a strong interest in repelling the advance of ISIS in Iraq. But unlike the United States, Iran has no desire to see a unity government emerge in Baghdad and for now seems intent on propping up Maliki. The New York Times reported that Iranian involvement in Iraq -- which has been extensive since the removal of Saddam Hussein in 2003 -- has deepened in response to the present crisis. And while both Iran and the U.S. want a stable Iraq, their respective definitions of stability don't match. “The U.S wants a stability that gets at solving some of Iraq’s fundamental political disagreements. For Tehran, stability can be a Shia majority government that imposes its will on the rest of the country,” said Berger. After investing billions of dollars--and thousands of American lives--to build a multiethnic Iraq, the U.S. may find that Tehran's vision will ultimately be closer to reality.